Master Philip has studied and practiced martial arts since 1964 and Kuk Sool Won since 1974. To broaden his knowledge and understanding of the martial arts, he has travelled extensively in the UK, Europe, USA and South Korea, and has had the privilege of training directly under the founder of Kuk Sool, Grand Master SUH, IN HYUK. 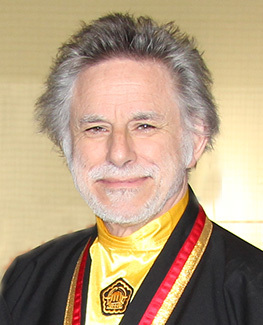 Since the mid-1970s, Master Philip has played a prominent role in helping to establish, develop, teach and promote Kuk Sool in the UK, appearing on national, as well as local TV. In 1989, he was appointed as a Kuk Sool Won UK Chief Instructor by Grandmaster Suh and presently holds the rank of 8th Degree Black Belt. In June 1999, Master Philip was featured on the front cover of the International publication Tae Kwon Do & Korean Martial Arts, together with an in-depth feature article inside. In the March, April and May 2002 issues of the same magazine, Master Philip's article on the History of Kuk Sool Won was published as a three-part serialisation. In October 2001, Master Philip was inducted into the Combat (magazine) 'Hall of Fame'. This prestigious honour was awarded to Master Philip, 'in recognition of his commitment and devotion to the development of Martial Arts in the United Kingdom and around the world'. In May 2010, Master Philip and SBN Robin, together with Grandmaster Suh, and other senior Kuk Sool masters, were featured in the South Korean Government produced TV documentary film entitled: ‘The Race of the Martial Arts: Kuk Sool Won Enters the World’. In January 2015, Master Philip, together with SBN Robin, were featured in a five-page article in the international publication ‘Martial Arts Illustrated’, which recognised Master Philip’s 50th anniversary of martial arts training. PKJN Robin formally started training in martial arts at the age of four and received his 1st Degree Black Belt in 2000 at the age of 12. He was awarded his 4th Degree Assistant Master promotion by Grandmaster SUH, IN HYUK in 2010 and his Master promotion in 2016. In Sept 2012, PKJN Robin opened and became the Chief Instructor of the Kuk Sool Won of Bexhill School and in January 2013, he became the new school owner and Chief Instructor of the Kuk Sool Won of Hastings School. 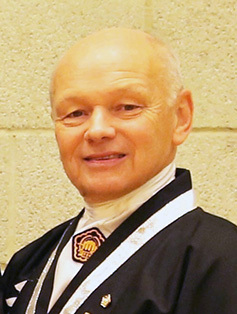 In 2014, he became the Chief Instructor of the Kuk Sool Won of Eastbourne School. Born into a martial arts family, PKJN Robin has always been highly respected by students and instructors alike for his quiet and unassuming manner and attention to detail when teaching martial arts and as such, has become a role model for many of the younger students. PKJN Robin loves all aspects of Kuk Sool training and particularly teaching and seeing children develop and grow in confidence. 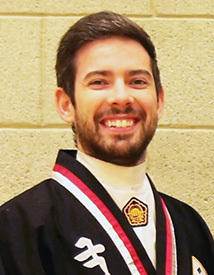 His enthusiasm for teaching students of all ages has inspired many students to either become Instructors themselves, and/or to enter National and International Kuk Sool Tournaments, winning many championship honours. During 2007, PKJN Robin spent six-months in South Korea, to learn the traditional Korean way of training. Whilst living, training and teaching in South Korea, PKJN Robin took part in several public displays and also featured on South Korean TV. He was also a personal guest of the World Kuk Sool Association’s Chief Master SUH, IN JOO 10th Degree, at the Korean Kuk Sool HQ and a Korean National Testing. In May 2010, PJKN Robin, together with Grandmaster Suh, and other senior Kuk Sool masters, were featured in the South Korean Government produced TV documentary film entitled: ‘The Race of the Martial Arts: Kuk Sool Won Enters the World’. In January 2015, SBN Robin, together with Master Philip, were featured in a five-page article in the international publication ‘Martial Arts Illustrated,’ which recognised Master Philip’s 50th anniversary of martial arts training. Sa Buem Nim (SBN) Les has studied and practised different disciplines of the traditional Oriental martial arts since 1972, which include: Wado Ryu (Japanese Karate), Wing Chun (Chinese Kung Fu) and Kendo (Japanese Sword). In 1995, SBN Les discovered Kuk Sool Won (Korean Martial Arts), and has practised this martial art ever since. Although having a great deal of experience and love of the many different aspects of martial arts training, he particularly enjoys archery, knife- throwing and unarmed combat. In 2000, SBN Les became an Instructor of Kuk Sool Won at the Martial Arts Centre-Eastbourne, and in 2005 was appointed as Deputy Chief Instructor of the Centre. He has helped a great many students through the comprehensive Kuk Sool syllabus, and always feels a sense of pride when a student achieves their 1st Degree Black Belt. Over a period of many years, SBN Les has been a great ambassador for the martial arts, having participated in numerous displays for the general public at national, as well as local level. Within the art of Kuk Sool Won, he has entered many British and European tournaments, and has been successful in gaining gold, silver and bronze medals in different events, while representing the Martial Arts Centre - Eastbourne. Sa Buem Nim (SBN) Martin first started martial arts training in Kuk Sool Won in 2000, and was appointed an Instructor at the Martial Arts Centre-Eastbourne in 2005. He enjoys teaching beginning students the fundamentals of martial arts training and watching them develop their skills, as they progress through the comprehensive Kuk Sool Syllabus. Over the years, SBN Martin has won several medals in Kuk Sool tournaments at the coloured belt level. 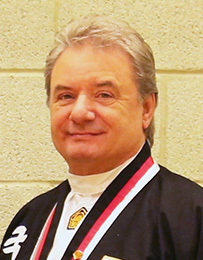 At the Kuk Sool European Championships in 2008 he won a medal at the 1st Degree level in straight sword form and in 2011, a silver medal at the 2nd Degree level for reverse sword form. Out of over 600 contestants from all over Europe, he was also the oldest entrant in this tournament! SBN Martin finds the mental concentration that is required in martial arts training very stimulating and enjoys constantly practicing a technique to understand the subtleties of how and why a technique should work. SBN Martins favourite aspect of Kuk Sool training is self-defence and unarmed combat, and his speciality is knife throwing. His contributions at Kuk Sool displays (especially as a vulnerable old man with a walking stick) are always hugely enjoyed by the audience. 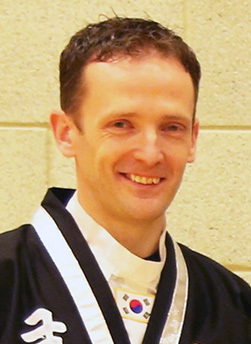 In June 2012, at the Kuk Sool Won European Tournament and Masters Display held at Kings Lynn, Norfolk, PSBN Martin was promoted to the rank of 3rd Degree Black Belt by Grandmaster Suh, In Hyuk, the founder of Kuk Sool Won and in 2016 to the rank of 4th Degree. As a teenager, PSBN Stuart studied Shotokan (Japanese Karate) for several years, then after a break from training, in 2003, decided he wanted to do “something new” and discovered the traditional Korean Martial Art of Kuk Sool Won. After several years of training and single-minded commitment, PSBN Stuart achieved his 1st Degree Black Belt in 2008 and in 2009, he was appointed as an Instructor at the Martial Arts Centre - Eastbourne. KSN Stuart likes all aspects of martial art training, but really enjoys learning and applying ‘vital’ or ‘pressure’ points, which are taught with many of the self-defence techniques, within the Kuk Sool system. 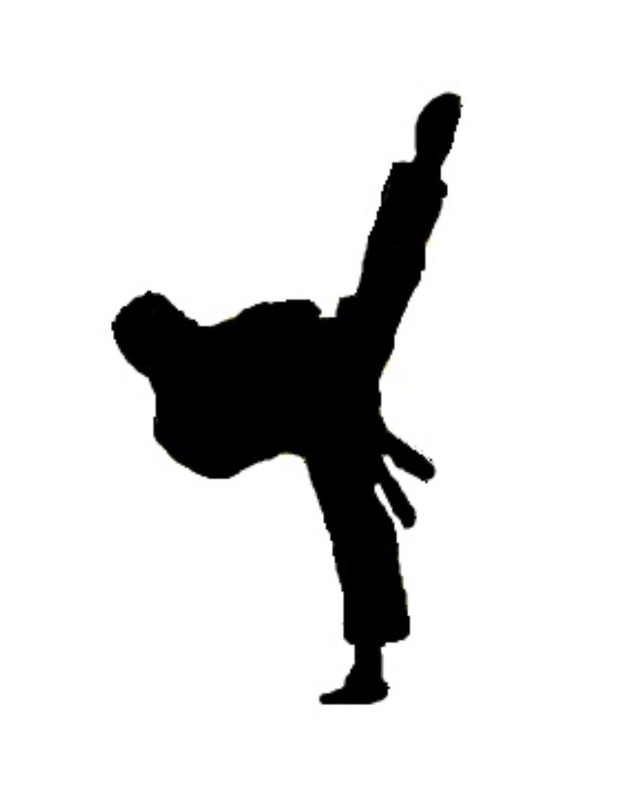 He also finds the mental discipline associated with martial art training, as a very positive influence in his life, which brings with it an increased level of confidence and awareness. He appreciates the knowledge of his teachers, and their willingness to pass on their skills, and in turn, enjoys passing on the knowledge and skills he has acquired to lower grades. In June 2012, at the Kuk Sool Won European Tournament and Masters Display held at Kings Lynn, Norfolk, PSBN Stuart was promoted to the rank of 2nd Degree Black Belt by Grandmaster Suh, In Hyuk, the founder of Kuk Sool Won, then, in November 2016 he was promoted to 3rd Degree Black Belt. Pu Sa Buem Nim (PSBN) Brenden originally started training in martial arts for fitness and wellbeing, it wasn’t long until he realised that Kuk Sool Won offered a great deal more and became an avid student and practitioner. Having spent time in his youth practising Judo, PSBN Brenden has now been training in the traditional martial art of Kuk Sool Won for over 13 years and received his first black belt in 2007. Appointed Deputy Chief Instructor of Hastings and Bexhill in 2017 PSBN Brenden continues to both practice under the careful tutelage of PKJN Robin and teach the next generation of students. PSBN Brenden continues to practice each and every week to work towards his next black belt and to ensure he maintains a high level of proficiency in the knowledge he has already leaned. 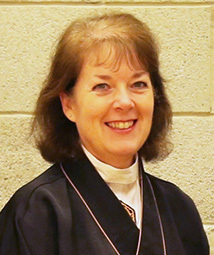 Pu Sa Buem Nim (PSBN) Julie has studied and practised the Kuk Sool Won since 1992, and has trained both in the UK, Europe and USA. In June 2004, she was awarded her 3rd Degree Black Belt. For many years, PSBN Julie has acted as the Martial Arts Centre – Eastbourne, Tournament Training Co-ordinator, and has coached many students with their training for entry into national and international events – many of whom have gone on to achieve national and international success. In her martial art career, Julie has specialised in women's self-defence and related issues. Her experience over many years of teaching has helped many female students and children, to realise the importance of learning self-defence as a worthwhile skill, not only in terms of personal protection, but also, as a way to develop confidence and a positive outlook in general. In May 2010, PSBN Julie, together with Grandmaster Suh, and other senior Kuk Sool masters, were featured in the South Korean Government produced TV documentary film entitled: ‘The Race of the Martial Arts: Kuk Sool Won Enters the World’. In January 2015, PSBN Julie, together with Master Philip, were featured in a five-page article in the international publication ‘Martial Arts Illustrated’, which recognised Master Philip’s 50th anniversary of martial arts training. As a youngster Kyo Sa Nim (KSN) trained in Tae Kwon Do for a number of years and really enjoyed the discipline and fitness side of the art. After a few years without training in martial arts, Sam decided he wanted to continue training and although he loved TKD, wanted something a little different. He decided to give Kuk Sool a try and never looked back. In 2010, after competing in a few UK and European Tournaments he travelled to Houston, Texas to compete in the US Open Tournament and successfully won a gold, Silver and bronze in three different categories. Sam achieved his 1st Degree black belt in 2011 and discovered his love for teaching martial arts. Sam enjoys seeing his students realise their ambitions and push their limits to improve. Sam achieved his 2nd Degree black belt in 2016. Same enjoys kicking, joint locking techniques and sword practice. 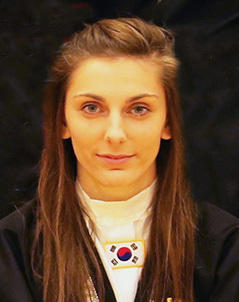 JKN Katie started training in Kuk Sool Won at the age of 9 with her younger brother. This was the first martial art she tried, and has loved it ever since. After several years of training, in May 2014, at the age of 16, she achieved her 1st Degree Black Belt at the Kuk Sool European Championships held in Norwich, Norfolk. In January 2015, she become the newest member of the Eastbourne Instructor Team, being appointed an Assistant Instructor. Since 2012, JKN Katie has competed in both the UK and European Tournaments as a Brown Belt competitor, and has currently won a total of 7 Gold, 3 Silver, 5 Bronze and 4 Copper medals when competing in youth categories. 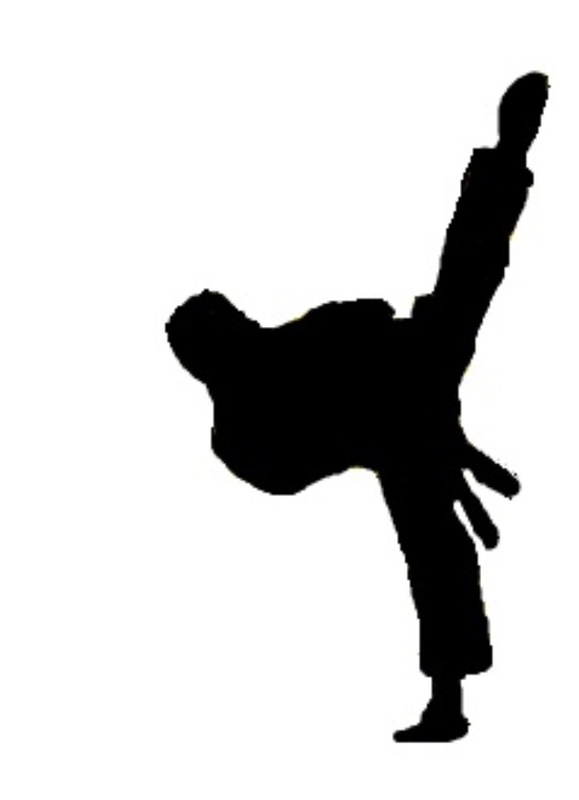 JKN Katie believes that the study and practice of Kuk Sool Won has helped increase her confidence dramatically as well as greatly improving her fitness, flexibility and skills. This increased level in confidence, has led her to perform in local and national demonstrations, in front of large audiences, which include many of the world's top Kuk Sool Masters. Her rise in confidence has also helped her outside of Kuk Sool Won in social, educational, sporting, and scouting activities.